It also includes plenty of options, with a variety of Thai beaches and islands to choose from and numerous sightseeing choices for every destination. Our itinerary begins in Bangkok, then takes you to any of Thailand’s beach areas for a relaxing four-day getaway. After Thailand, it includes a trip to Phnom Penh and an incredible tour of the Angkor Archaeological Park near Siem Reap, Cambodia. Each destination includes a link to our Quick Guides, which list the best restaurants, hotels and things to do for each city and resort area. Our two-week itinerary begins in Bangkok. 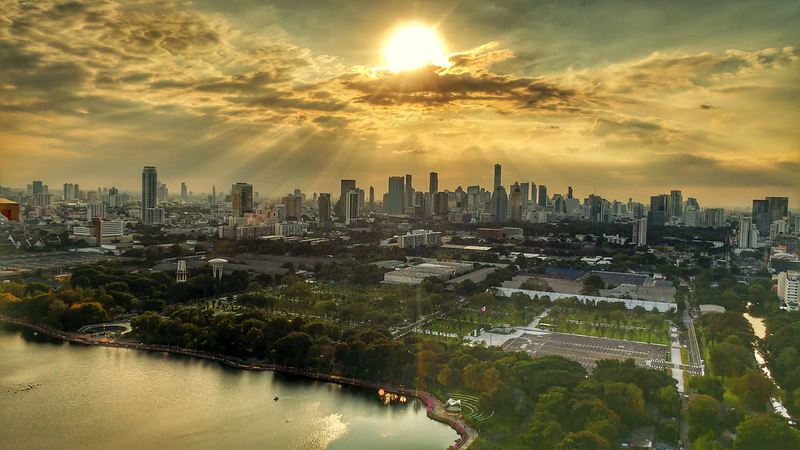 Here, you’ll get a chance to see some of Thailand’s most important historical buildings, enjoy authentic Thai cuisine and explore the modern centre of Bangkok and its huge range of shopping malls. Our first day in Bangkok includes visits to the Grand Palace, Wat Pho and Wat Arun, all of which are located close to each other in Bangkok’s Old City. The Grand Palace. Built as the official residence of the Kinds of Siam, the Grand Palace features several 19th century royal buildings, as well as Wat Phra Kaew, also known as the Temple of the Emerald Buddha. Wat Pho. Famous for its traditional massage school (which is worth a visit, if you’re in the mood for a traditional Thai or foot massage), Wat Pho is a spectacular temple close to the Grand Palace that contains an incredible 160 foot reclining Buddha statue. Wat Arun. Also known as the Temple of Dawn, Wat Arun is a 17th century temple built on the banks of the Chao Phraya River. Although the temple is located across the river from the Grand Palace, it’s easy to access using the cross-river ferry to Tha Tien. Thip Samai Pad Thai, a local Pad Thai restaurant famous for its fast service and open shophouse in Bangkok’s Old Town. Sala Rattanakosin Eatery And Bar, a high-end restaurant with views of Wat Arun that’s located inside the luxury Sala Rattanakosin boutique hotel. The Deck, a mid-range Thai restaurant that offers great views of Wat Arun, a short walk from Sala Rattanakosin on Soi Pratoo Nok Yoong. Day two in Bangkok includes a trip to Ratchaprasong, Bangkok’s commercial capital and main shopping district. It also includes a stop at the Jim Thompson House, a traditional Thai home constructed in the 1950s for American silk industry entrepreneur Jim Thompson. Shopping Malls. Bangkok’s biggest and glitziest shopping malls are located in an area called Ratchaprasong, which stretches from Siam BTS station to Chit Lom station further down the Sukhumvit Line. Most of Ratchaprasong’s shopping malls are connected by elevated walkways, making it easy to get from one building to another. The most popular malls include Siam Paragon and Central World, both of which offer everything from high-end brands to high street fashion. Another popular place to shop is the MBK Centre, which is famous for cheap smartphones and other electronic items. Central Embassy is the latest luxury shopping mall to be built in Ratchaprasong, while Gaysorn Plaza is the area’s first shopping centre for high-end fashion, shoes, watches and other luxury goods. Jim Thompson House. Built in the 1950s for American silk industry businessman Jim Thompson, this historical house contains a variety of antiques, paintings, furniture and other items that make it a treasure to visit. 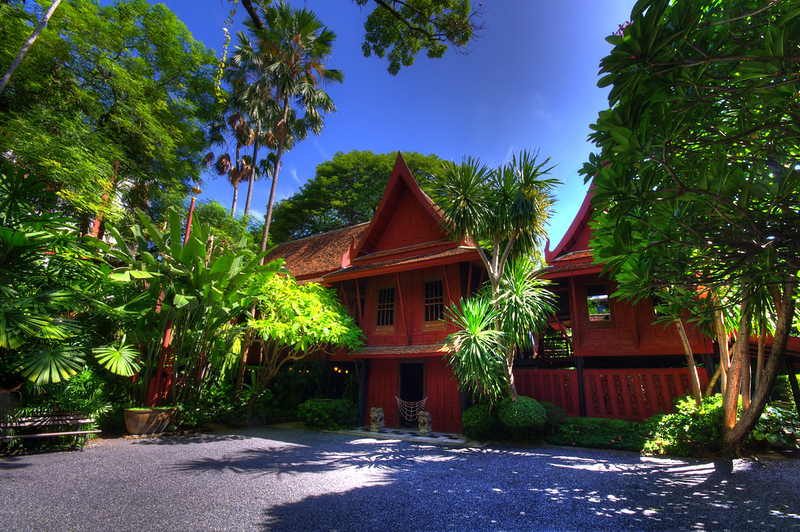 The Jim Thompson House is built next to a local canal and features a small courtyard and gardens. Guided tours of the house are available in a variety of languages. Erawan Shrine. While it isn’t quite as impressive as the temples you saw on day one, the Erawan Shrine at Ratchaprasong is worth a visit. The shrine is a popular place for locals and visitors alike to pray for good fortune. Night Bike Tour. 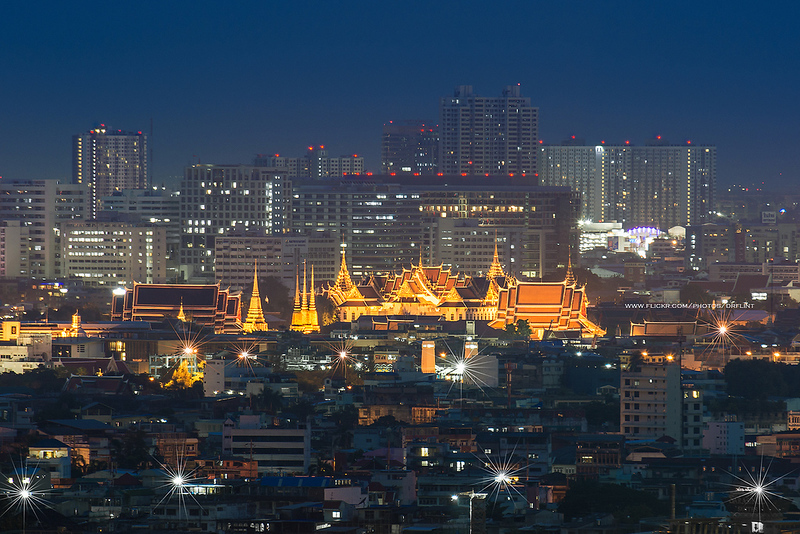 If you’re not too tired after a morning of shopping and exploring the modern centre of Bangkok, a night bike tour is a great way to see a different side of Bangkok. Grasshopper Adventures operates a night bike tour that goes through some of Old Bangkok’s flower markets and alleyways, as well as close to some of the city’s most impressive temples and historical areas. If you want to spend an extra night at the beach, day three is a good time to leave Bangkok and check into your hotel. Otherwise, you can also spend an extra night in the city and explore some of Bangkok’s less travelled areas. Khlong Tours of Thonburi. Exploring Thonburi, Bangkok’s less heavily developed side, by boat is one of the best ways to see a side of the city that most travellers never get to experience. The canal tours offered by the Small Teak Boat Canal Adventure let you see Thonburi from a unique perspective and offer a great look at everyday life in some of Bangkok’s charming and laid back residential neighbourhoods. Chinatown. Yaowarat, Bangkok’s Chinatown, is the centre of the capital’s large Chinese community and a great place to enjoy authentic Chinese food. It’s also home to several street markets offering everything from jewellery and precious metals to souvenirs. Good dining options in Yaowarat include Hua Seng Hong, a popular Chinese restaurant offering dim sum and a wide range of other dishes, and the small and somewhat hidden Fikeaw Yao Wa-Rat food stand. There are numerous beaches resorts in Thailand, from world famous islands like Phuket and Koh Samui to smaller, less known beach resorts like Koh Lanta and Koh Samet. We’ve listed several of the best beach areas below, with links to our Quick Guides for each destination. One of the closest beaches to Bangkok, Hua Hin has a great variety of mid-range and luxury hotels, plus several theme parks that will appeal to families. It’s also easy to get to by taxi or minivan from Bangkok, with a quick three-hour journey down the highway. While Hua Hin’s beaches aren’t the best in Thailand, the city’s convenient location, wide range of hotels and convenience makes it a good option if you don’t want to travel far from Bangkok. Our Quick Guide to Hua Hin features detailed information on Hua Hin’s best accommodation, things to do, dining and more. 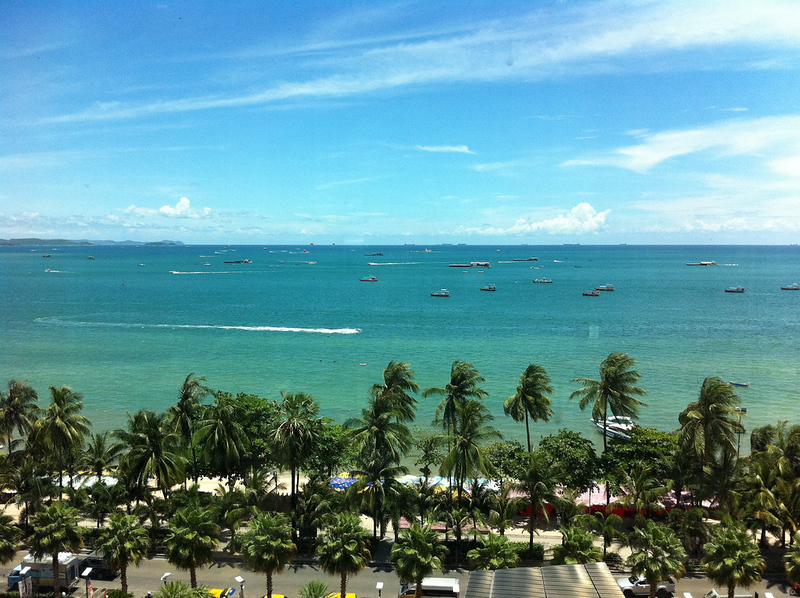 Another beachside city located close to Bangkok, Pattaya is less than two hours away by taxi or minivan. Pattaya’s beaches are a little on the bland side, with the city’s exciting and undeniably seedy nightlife the main attraction here. Pattaya is best avoided if you’re travelling with young kids or on a romantic holiday. However, it can be a fun place to spend a few days if you don’t want to travel far from Bangkok and prefer nightlife and city conveniences to flawless beaches. Our Quick Guide to Pattaya covers all of Pattaya’s main areas of interest, with specific hotel, restaurant and activity information. The easiest island to access from Bangkok, Koh Samet offers clean and attractive beaches and a good selection of resorts and bungalows. If you don’t want to travel far from Bangkok but want better beaches than what you can find in Pattaya and Hua Hin, Koh Samet is worth a visit. Koh Samet is a great option for families travelling with children. The beaches are easy to access (most resorts are just a few steps away) and fun activities like banana boats and kayaking mean there’s plenty to keep you occupied. Our Quick Guide to Koh Samet lists all of the island’s main areas of interest, as well as hotel and restaurant recommendations. One of Thailand’s largest islands, Koh Chang is less developed than places like Phuket and Koh Samui but offers a “big island” feel that isn’t available on Koh Samet. Koh Chang’s beaches are clean, quiet and unspoiled, with little large-scale development and relatively small crowds. Getting to Koh Chang involves taking a bus for four to five hours from Bangkok, then boarding a ferry from the mainland to the island. If you’re looking for an unspoiled, expansive island with a variety of great beaches, the journey here is definitely worth it. 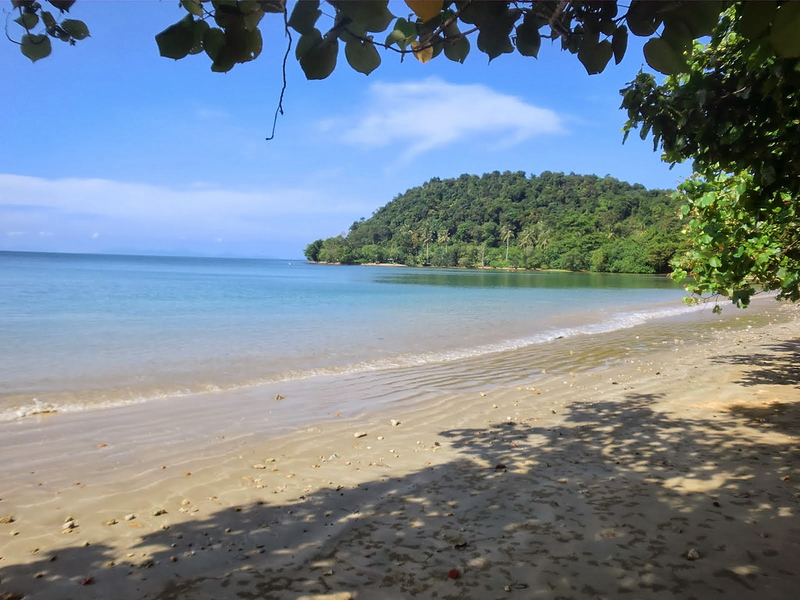 Our Quick Guide to Koh Chang lists Koh Chang’s best beaches, main settlements and highest ranked hotels in all prices ranges, as well as dining recommendations and things to do. Thailand’s largest and most heavily developed island, Phuket is the place to go if you like world class beaches and don’t mind being around lots of other tourists. Because Phuket has its own airport, it’s one of the easiest beach destinations in Thailand to access from Bangkok. Phuket’s beaches range from heavily developed to quiet and almost completely untouched by mass tourism. You’ll find most of the best beaches on the west side of the island, with quieter beaches and smaller settlements on the southern tip of Phuket. Our Quick Guide to Phuket covers all of Phuket’s main areas of interest, from Patong and Kata to quieter areas like Rawai. It also includes hotel, dining and activity recommendations. Limestone cliffs, beautiful beaches and a relaxed, chilled out atmosphere make Krabi Province one of the best places to visit in Southern Thailand. Like Phuket, Krabi Province has an airport, making it easy to fly in from Bangkok without relying on buses, trains or ferries. There are several areas in Krabi worth visiting. Ao Nang is the main tourist town in the region, with a decent beach and a great selection of restaurants and bars. Railay, on the other hand, is a quieter and less developed area famous for its incredible limestone cliffs and rugged scenery. 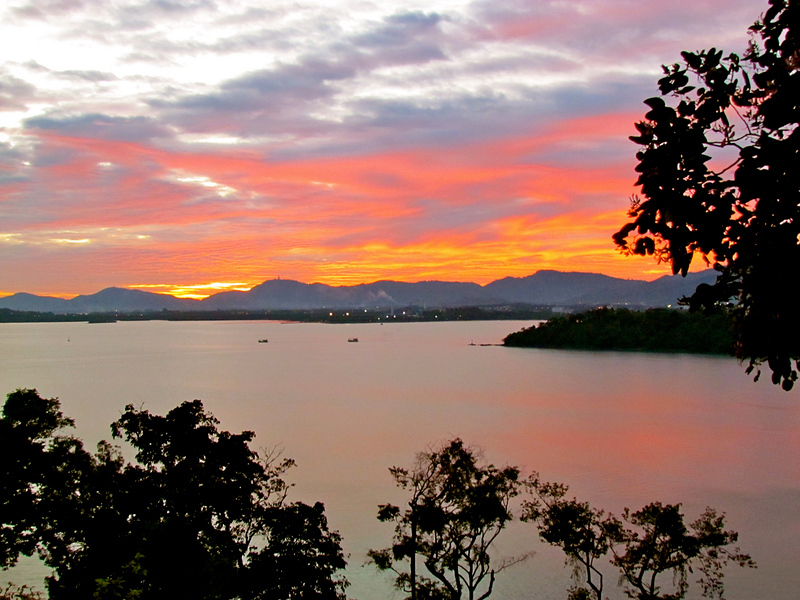 Our Krabi guides each focus on one specific part of the province. You can find out more about the main settlement in Krabi in our Quick Guide to Krabi Town. 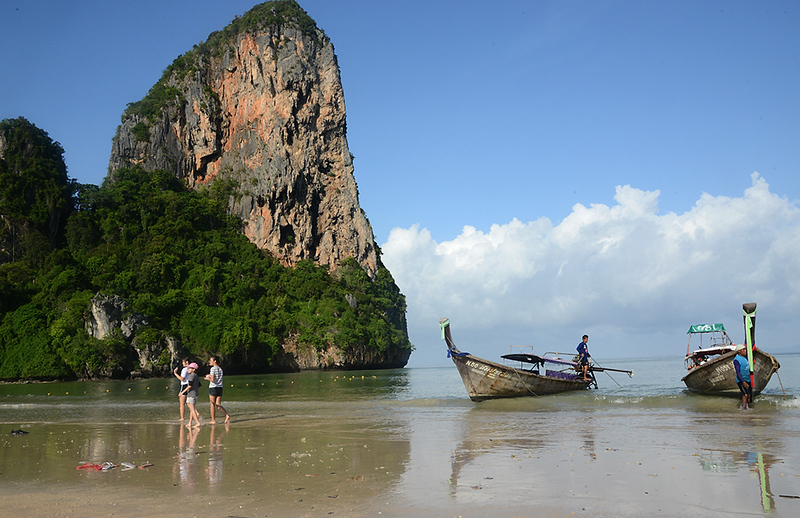 Our guides to Ao Nang and Railay Beach cover Krabi’s two main tourist areas in more detail. Like Phuket and Krabi, Koh Samui has its own airport, letting you fly directly in from Bangkok and avoid having to take the ferry from the mainland. Koh Samui is Thailand’s second-most popular island, with a great selection of hotels, resorts, activities and beaches to relax on. Koh Samui’s centre of activity is Chaweng, which is the island’s most heavily developed beach and main nightlife hub. There are also several other beaches on Koh Samui, ranging from laid back Lamai and scenic Bo Phut to the beautiful and isolated beaches at Taling Ngam. Our Quick Guide to Koh Samui covers all of the main beaches and areas of interest on Koh Samui, as well as and island’s top hotels, restaurants and things to do. Although it’s best known for the infamous Full Moon Party, Koh Phangan has a lot more to offer than just throbbing bass and bucket-sized cocktails. 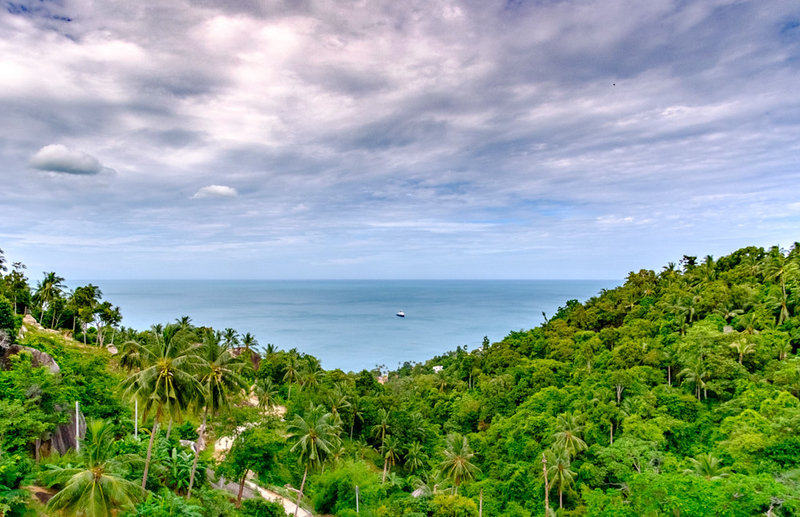 Located close to Koh Samui, this island is home to a variety of great beaches and several hiking trails. 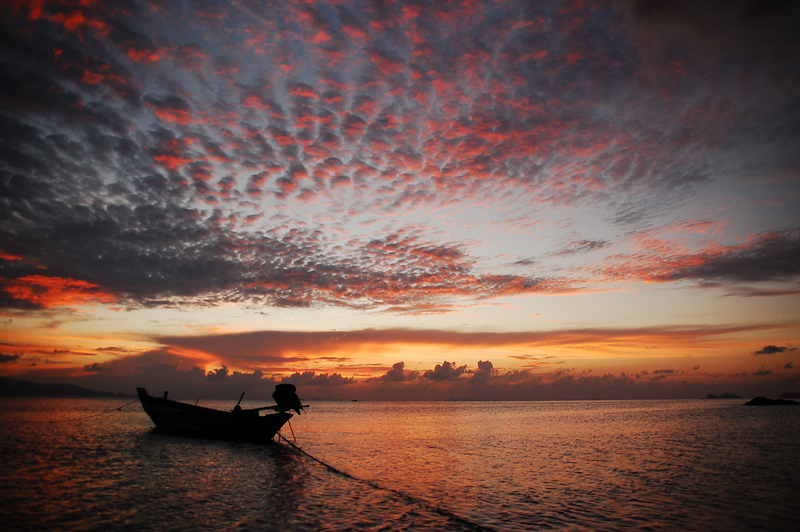 Overall, Koh Phangan has a laid back, easygoing feel. It’s also a relatively easy island to get to, although you’ll probably want to set aside an extra day (skip the third day in Bangkok and leave early) to make up for the long process of catching the ferry from Surat Thani to get here. 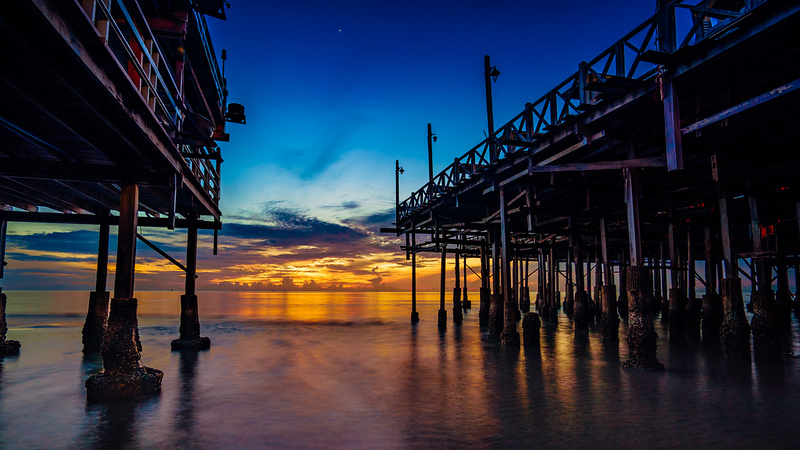 Our Quick Guide to Koh Phangan covers all of the best things to do, places to stay and areas to visit on Koh Phangan, as well as the island’s best dining options. 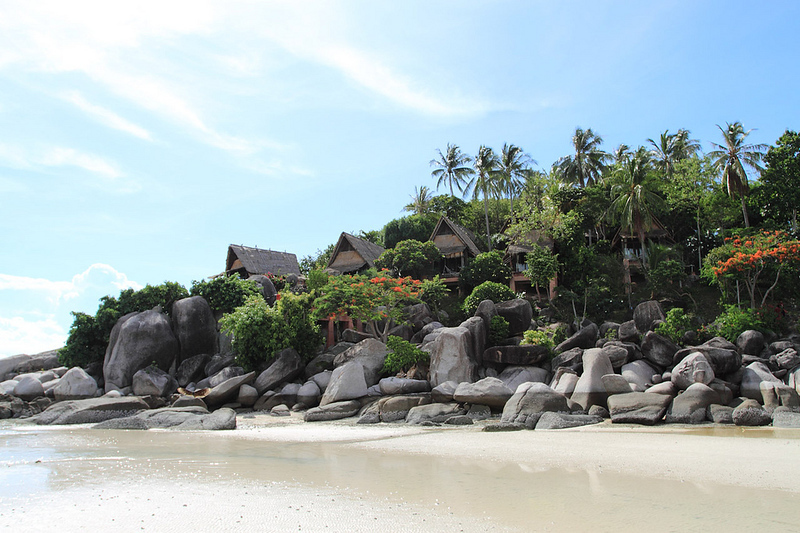 Famous for scuba diving, Koh Tao offers a smaller, more intimate feel than nearby Koh Samui and Koh Phangan. This small island is popular for beginner divers, so much so that it’s known as one of the world’s cheapest places to get PADI certified. While the diving off Koh Tao isn’t world class, it’s definitely good enough that divers will enjoy their time here. Beyond diving, Koh Tao offers several great beaches, excellent snorkelling and a variety of restaurants, bars and beachside clubs. 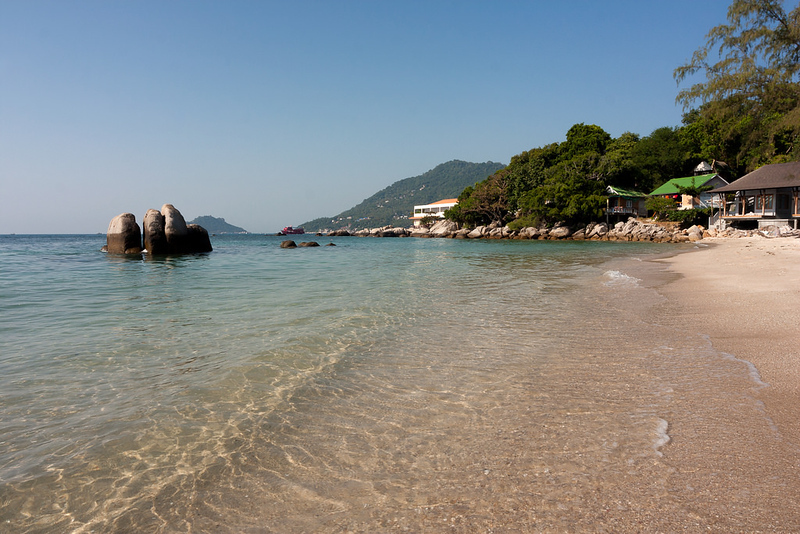 Our Quick Guide to Koh Tao covers the island’s main areas of interest, things to do, dining recommendations and places to stay, as well as information on how to get to Koh Tao from nearby islands and mainland areas like Surat Thani. 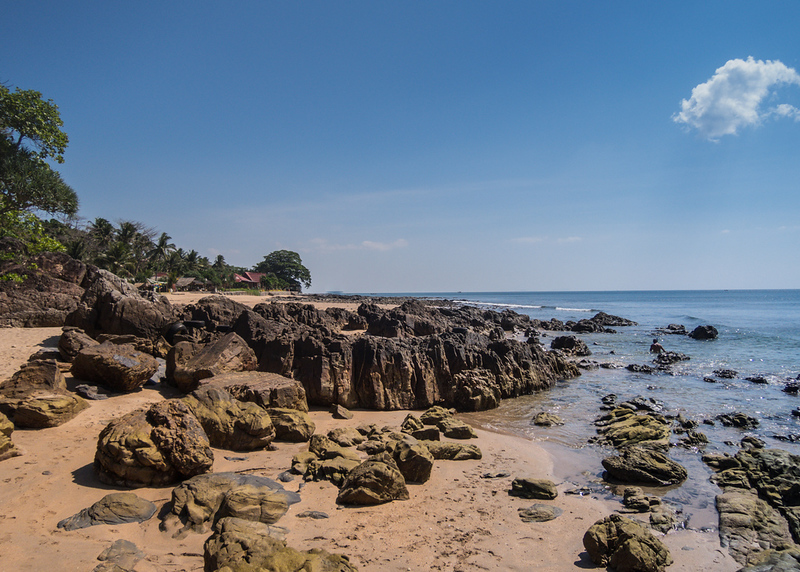 Quiet, secluded and peaceful, Koh Lanta is located a short distance from Krabi. With just a few large resorts and a great selection of mid-range hotels and bungalows, Koh Lanta offers a less crowded island experience than places like Phuket, Koh Samui or Koh Phangan. It’s also home to some of Thailand’s best beaches, with beautiful white sand and clear water that’s ideal for swimming and snorkelling. While there’s less to do on Koh Lanta than many of Thailand’s other islands, it’s a great place to spend three of four days relaxing. Our Quick Guide to Koh Lanta lists Koh Lanta’s main beaches and settlements, the island’s best hotels and resorts, restaurants and bars, transportation to and from the island and more. 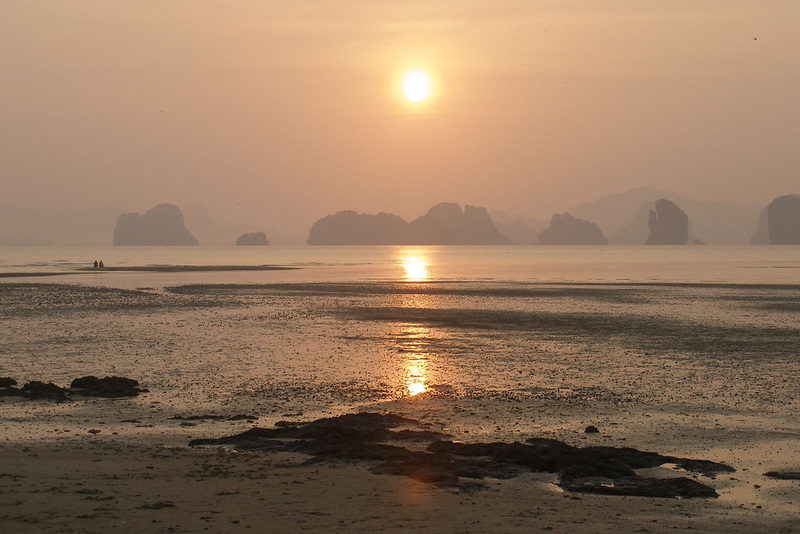 Another quiet and relaxing option, Koh Yao Noi and Koh Yao Hai are located off the coast of Phuket in Phang Nga Bay. The two islands offer great views over the limestone karsts in the area, as well as a peaceful atmosphere that’s perfect for couples and families. Of the two islands, Koh Yao Noi is home to most of the hotels, resorts and other development, while Koh Yao Yai is quieter, less developed and great for day trips. Our Quick Guide to Koh Yao includes more information on Koh Yao Noi and Koh Yao Yai, ranging from hotels and restaurants to transportation options for getting to the islands. Located halfway between Ao Nang and Koh Lanta, Koh Jum is another quiet and undeveloped island that’s great for escaping the crowds of Thailand’s other beaches. If you’re seeking peace and tranquility, this is where you’ll find it. Our Guide to Koh Jum lists the best accommodation options, restaurants and things to do on Koh Jum. It also has detailed information on how to get to Koh Jum from Krabi or Koh Phi Phi. After enjoying several days at the beach, it’s time to travel onward to Phnom Penh, the capital and largest city of Cambodia. Once a quiet French colonial city, Phnom Penh is developing quickly into a bustling economic hub. Today, modern skyscrapers and new buildings under construction compete for space with traditional townhouses and French colonial buildings. You’ll find Phnom Penh’s cheapest accommodation around the Riverside area, with higher-end hotels in BKK1. Our Quick Guide to Phnom Penh covers the city’s main areas of interest and things to do, as well as the best places to eat in Phnom Penh. The Royal Palace. Built for the Royal Family of Cambodia in the 19th century, the Royal Palace is one of Phnom Penh’s best known landmarks. The complex is a short walk from the Riverside area, making it one of the easiest attractions in the city to get to. Central Market. Built in 1937 during the French colonial period, this Art Deco shopping market is home to a variety of stalls selling everything from fresh ingredients to clothing, souvenirs and more. Make sure to bargain, as prices here are usually on the high side. Tuol Sleng Genocide Museum. Once a high school, this complex of buildings was converted into an execution centre during the Khmer Rouge era. Today, it’s a museum that documents the experiences of inmates and recent Cambodian history. The Killing Fields at Choeung Ek. Another Khmer Rouge-related historical site, the area around Choeung Ek was used as a mass grave for people killed during the Khmer Rouge era. Today, the graves are roped off and the victims memorialised with a stupa. After two days in Phnom Penh, it’s time to travel to Siem Reap — the closest city to Cambodia’s famous Angkor Archaeological Park. 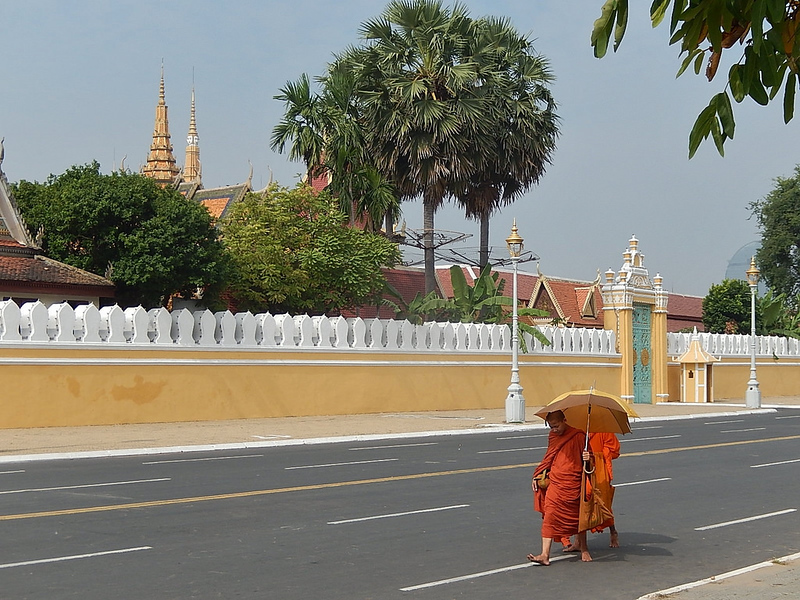 There are several ways to get to Siem Reap from Phnom Penh. The fastest and easiest way, by far, is to fly. If you’re on a limited budget, you can also travel between the two cities in five to six hours using the Seila Angkor, Mey Hong Transport and Golden Bayon Express minibuses. As always, our Quick Guide to Siem Reap goes into more detail about the top accommodation options, main areas of interest and best restaurants in Siem Reap. After you’ve checked into your hotel, you can either go straight to Angkor Archaeological Park to see the historical temples or explore Siem Reap. We’ve listed the top things to do in Siem Reap first, with recommendations for Angkor Archaeological Park a little further down the page. Cambodia Landmine Museum. This incredible small museum contains a huge number of deactivated mines and other explosive devices, all of which were recovered from the Cambodian countryside since the country’s brutal civil war and Khmer Rouge period. The museum is about 25km north of Siem Reap, meaning you’ll need to hire a tuk-tuk driver to take you there and back. Spas. Thanks to its growing popularity as a tourist destination, Siem Reap has a great range of luxurious and relaxing spas. Top choices include Sokkhak Spa, Khmer Relief Spa and Lemongrass Garden Beauty & Massage. Pub Street. Most of Siem Reap’s restaurants, bars and nightlife can be found on the aptly named Pub Street, which is located close to the Siem Reap River in the centre of town. By far the main attraction in Siem Reap is Angkor Archaeological Park — an archaeological site that contains Angkor Wat, Angkor Thom, Bayon and numerous other temples in its 400 square kilometre boundaries. While Angkor Archaeological Park is absolutely massively, most of its highlights can be seen in one day. Our One Week in Cambodia Itinerary goes into more detail about the advantages of visiting for one, two and three days, with lists of the temples you’ll want to see on longer stays. Angkor Wat. By far the most popular temple in the complex is Angkor Wat, the world’s largest religious monument. The complex was originally built as a Hindu temple, before being transformed into a Buddhist temple in the late 12th century. 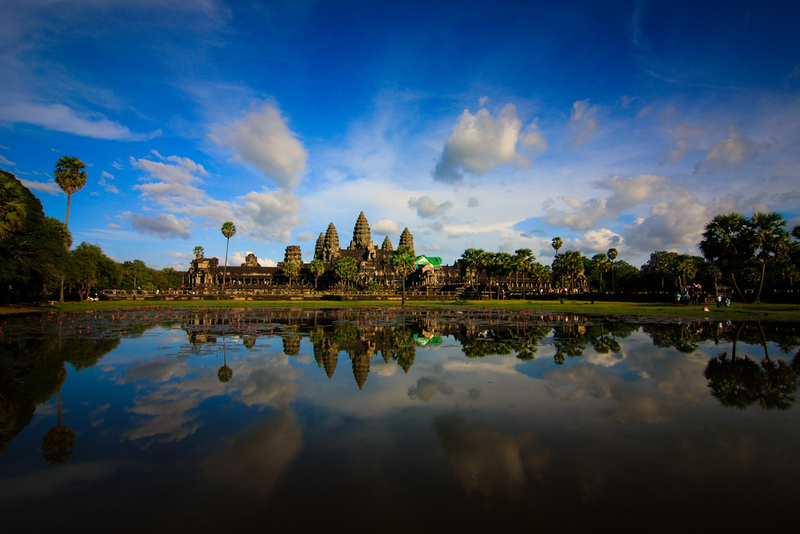 Angkor Wat has been meticulously restored over the years, making it a wonder to visit today. It’s best to arrive early and start your visit to the park by visiting Angkor Wat, as large crowds can make visiting later in the day a little less incredible. Angkor Thom. Once the capital of the Khmer Empire, Angkor Thom is an ancient city that’s a short distance from Angkor Wat. If you’re visiting the archaeological park with a tuk-tuk driver, they’ll be able to take you directly here after visiting Angkor Wat. The main attraction inside Angkor Thom is Prasat Bayon, an impressive stone temple that was built in the late 12th or early 13th century. The Bayon is famous for its stone smiling faces, which look out from the temple across the grounds. Ta Prohm. Laying in ruins and covered in vines and trees, Ta Prohm offers a different experience from most of the other temples in the park. This dark and beautiful temple has been left largely untouched over the years, giving it a ‘reclaimed by nature’ feel. Unless you’re flying out of Siem Reap to another regional destination, you’ll probably need to return to Bangkok to catch your flight home. Flights to Bangkok leave from Siem Reap Airport several times daily, making it easy to book your travel out of Cambodia.